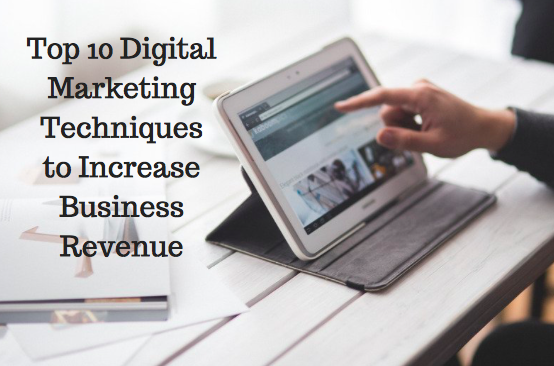 A business is alive until it can generate leads that bring in revenue, and digital marketing plays a critical role in generating leads. In today's technology-ruled world, a business cannot just create a website or a digital marketing strategy and then forget about it. It needs constant updates, improvements, and growth based on the developments of the industry. Many brands improve their website design, logo design, or brochure design periodically using an online logo maker tool in an attempt to instill new life into the marketing strategy. Specific techniques or hacks can help you move the scales and boost your revenue. Influencers help you gain the trust of your audience using someone who has followers. When a prospective user hears/reads an influencer's recommendation, it creates a much more significant impact and encourages the user to consider that brand. For instance, cosmetic companies such as L'oreal and Pantene use actresses and models to endorse their products. Recently, famous YouTuber Superwoman (aka Lilly Singh) was featured in the Pantene Ad. Organizing contests and giveaways, offering exciting gratifications, are one of the most popular techniques to attract more users. To encourage more users, you can create a compelling deadline to participate. As you gain more engagement and registrations for the contests, you can follow up to convert these potential users as your customers. Have you ever noticed that certain websites offer discount codes if you register with them or subscribe to their newsletter? This method is great for adding new registered users. As your website visitors register, you can use these leads for personalized ads, messaging, and call to action. A customized advertising experience can be created for the search users with matching the message and consistency, thus driving more results. Businesses often create generic invoices or transactional emails. However, these can be ideal mediums to encourage future sales. You can also add an attractive call to action requesting user for feedback or review which can, in turn, be used as a social media post for showcasing user acceptance and recommendation. This can help increase the engagement without any additional expense. Adding a pop-up attracts the attention of a website visitor. Pop-ups can provide an additional boost of encouragement to the user to go ahead with the purchase. Another simple yet effective method of using pop-ups is adding them as the user attempts to exit your website. This provides you with a unique opportunity to convert the visiting traffic. Evergreen content is a significant investment as this content can be created at any point instead of re-creating new content each time. Content is not only restricted to text, create a stunning logo design using an AI-based logo maker or a striking brochure design, and it stays impressive for the time to come. While you might believe that the content is no more impressive, it might not be the case for many of the new visitors. The key is to create an imposing piece so that the users are willing to submit their contact information in exchange for the download. Pricing is an important driving factor that helps in generating as well as converting leads. Most of the companies decide upon a pricing strategy and never look back, not realizing that they are missing out on a considerable number of potential leads that are never converted. In order to optimize your pricing strategy and achieve high lead conversions, review your pricing strategies regularly while keeping in mind customer reviews and feedbacks. A checkout page is often taken for granted while creating a web design. This is the last point of engagement with a customer and must be tackled carefully. Asking extensive and irrelevant information might discourage the visitor. Keep the fields limited to only the necessary information. Another great way of improving the customer experience on the checkout page is through providing a quick checkout option instead of compelling them to register. While these changes might seem minuscule, they have a significant impact on the sales. Video marketing is slowly changing the face of digital media, especially when it comes to social platforms. From stories, live videos and posts, you can see video marketing taking over the newsfeeds. Videos are great to showcase product features, reviews and even tutorials for the applications of a product. Once you create a product feature video content, you can also create a lead capture form which requires the user to input their information. This information can not only be used for closing the sale smoothly but also for consequent follow-ups. Customer retention is often considered as an added process to be performed post customer acquisition. A smart move is to create an effective customer retention strategy so that the customers are satisfied and come back for more. A loyal customer base not only improves the brand image but also drives more leads through referrals. Marketers employ various techniques be it eye-catching logo design, website design, or any marketing materials to drive traffic and influence prospective users to convert them into concrete leads. This process often needs constant attention and fine-tuning, but once you nail the method that works for you, half of the battle is won. These 10 techniques will help you make a dent and gain more tangible leads resulting in an increase in revenue.